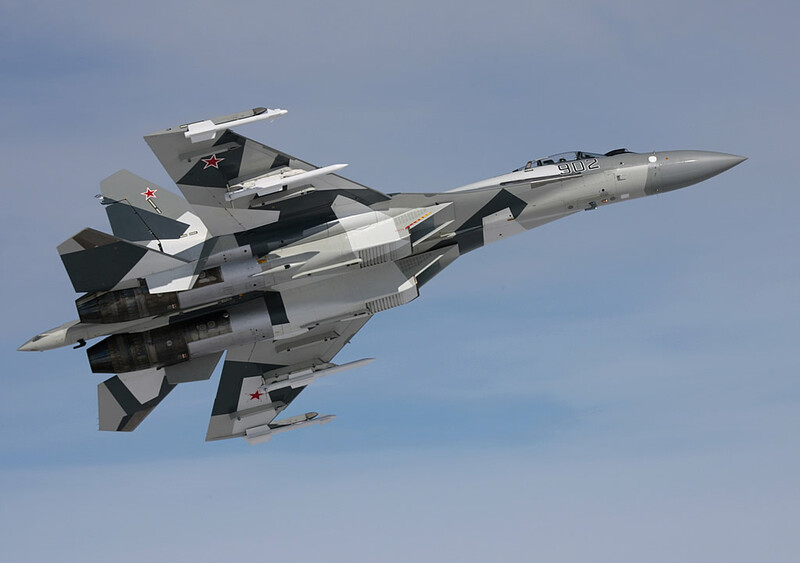 Indonesian Ministry of Defense confirmed that it is interested in purchasing the latest Russian Su-35 fighters, RIA Novosti reports with reference to Rosoboronexport Deputy CEO, Sergey Goreslavski. He took part in the work of Russian delegation at LIMA-2015 exhibition held in March at Langkawi Island (Malaysia). 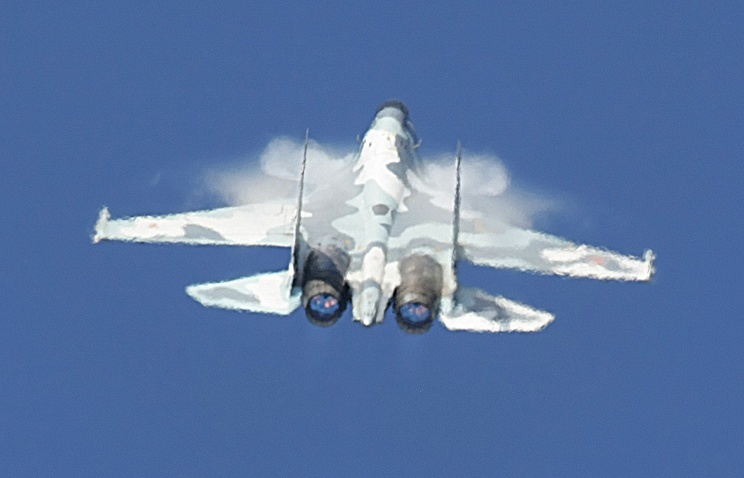 “Indonesian air forces showed interest in Su-35. The country’s Minister of Defense confirmed it once again,” Goreslavski said. According to him, Indonesia is also interested in Russian helicopters, Be-200 amphibious aircraft and conventional submarines (project 636). In February 2015 ANTARA agency with reference to Commander-in-Chief of the Indonesian air forces Vice-Marshal Agus Supriatna reported that the air forces are going to replace outdated F-5 fighters (delivered from USA) with state-of-the-art “4++”-generation Su-35 fighters. LANGKAWI /Malaysia/, March 19. /TASS/. Russian Sukhoi Su-30 (Flanker-C) multirole fighter jets are getting an upgrade to carry supersonic cruise missiles. The planes will be modernized both for the Russian Air Force and the Indian military aviation. India has started flight tests of the first Su-30MKI multirole fighter modified by Russian and Indian specialists to carry BrahMos-A supersonic cruise missiles, BrahMos Aerospace Russian-Indian Joint Venture Head Sudhir Mishra told TASS on Thursday at the Langkawi International Maritime and Aerospace Exhibition (LIMA’2015) in Malaysia. The work on the second Su-30MKI fighter jet is continuing and the aircraft “will be ready this year,” Mishra said. The BrahMos Aerospace head said the flight tests for the Su-30 fighter jets would be over this year. 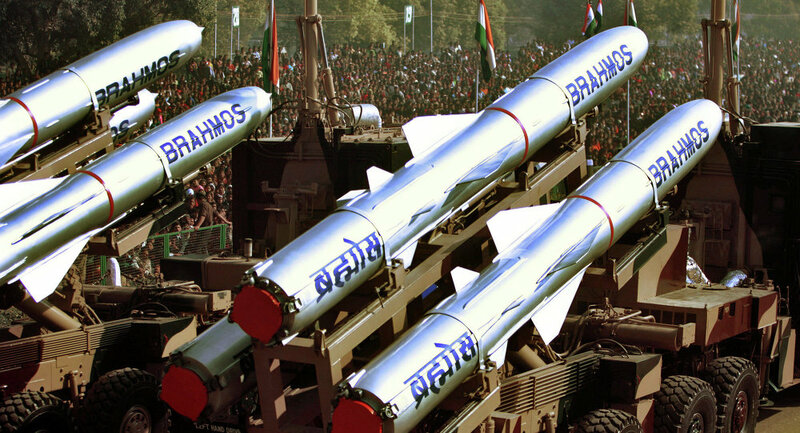 India has allocated $1.1 billion to purchase 200 BrahMos-A missiles to be installed on Indian Air Force Su-30MKI fighter jets. A total of 42 Su-30 fighters will be modernized at the production facilities of India’s HAL corporation to carry supersonic cruise missiles. In Russia, military aircraft, including Su-30SM fighters, will be modernized at the Irkut aircraft corporation to carry supersonic cruise missiles, Irkut CEO Oleg Demchenko said at the LIMA’2015 air show. When asked whether the Russian Air Force would follow India’s example to modernize Su-30SM to be fitted out with supersonic cruise missiles, the Irkut head said the Russian Defense Ministry was working out a relevant plan of measures and looking for financing sources to carry out modernization. 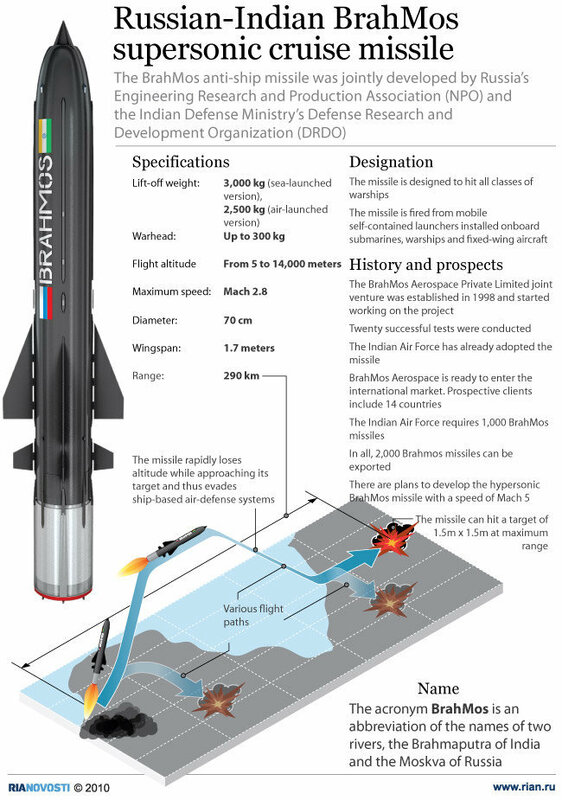 LANGKAWI (Sputnik) — The Indian Air Force plans to start mounting BrahMos cruise missiles on its aircraft in 2016, BrahMos Aerospace CEO Sudhir Mishra told RIA Novosti Wednesday.The short-range supersonic missile was jointly developed by Russia and India and has been in use by the Indian Navy since 2005. “The missile is scheduled to be adopted in 2016, ten more tests will be carried out by the end of the year,” Mishra said. He added that the next test flight is due in May with the aircraft carrying the missile launcher. This will be followed by flights with the equipped missiles and, eventually, test firing them.India is Russia’s biggest arms trade partner, with more than 70 percent of India’s military equipment coming from Russia or the former Soviet Union, according to Russia’s state arms exporter. The two countries are taking part in the major Langkawi International Maritime and Aerospace Exhibition (LIMA’15), currently underway in Malaysia. LANGKAWI /Malaysia/, March 18. /TASS/. 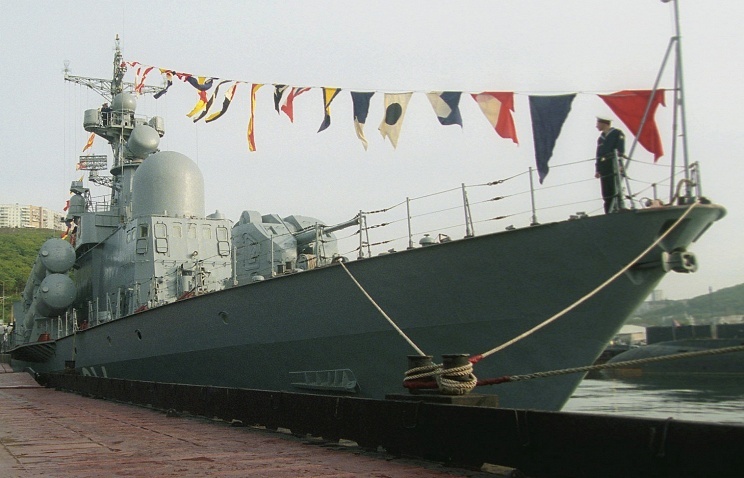 The contract for construction of four Project 12418 missile boats for Vietnam may be signed in 2015, Oleg Belkov, the director general of the Vympel shipyard, told TASS at the Langkawi International Maritime and Aerospace Exhibition (LIMA 2015). Under a contract signed in 2003, Vietnam received two Russia-made vessels, and another ten are to be assembled under a licence in the Asian country. Construction of the first one of Project 12418 started in Vietnam in 2010. The licence is valid through to 2016. According to Belkov, the four new missile boats Vietnam and Russia may sign a contract for will feature upgraded shipboard equipment. The gas-turbine engines for the missile boats are produced at Ukraine’s Zorya-Mashproekt plant in Nikolayev, but that won’t cause any problems, the director said. The engines will be supplied directly to Vietnam. Belkov noted that there is the option of using Russian-made engines as well. Oleg Belkov also said that exports of Russian high-speed boats Mangust (Project 12150) may start in 2015. “I hope this year,” Belkov said of the presumed date of the start of exports. “We are actively working with Vietnam, India, Brazil. Some country will agree to order [Mangusts],” he said. 25 Russian companies will present their military products at the LIMA-2015 International Maritime and Aerospace Exhibition in Malaysia. This was reported by the press center of the Federal Service for Military-Technical Cooperation. “The Russian exposition will comprise stands of 29 Russian enterprises. 25 companies will demonstrate their military products, including JSC Rosoboronexport, JSC Russian Helicopters, JSC ODK, JS…C Sukhoi, JSC RAC MiG and JSC Admiralty Shipyards,” the press center stated. It’s worth noting that a total of 361 military products will be presented at the exhibition, including a specialized simulator STBP-29 and an interactive training system IASO-29 for the MiG-29SMT aircraft. According to the information available, the Russian delegation will be headed by Director of the Federal Service for Military-Technical Cooperation Alexander Fomin. The exhibition will be attended by official delegations from 55 countries.